One of the most difficult aspects of managing underperforming sales reps is determining what actions you should take as a manager if a salesperson isn’t meeting expectations. 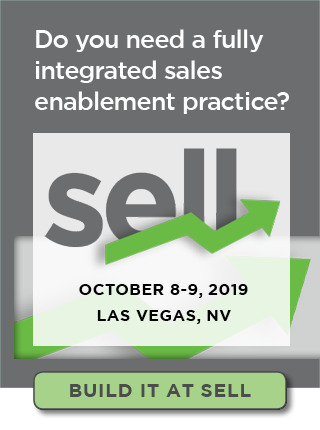 The reason this is so challenging is that we are dealing with multiple dynamics that influence sales behaviors and, ultimately, results. The first dynamic is making sure expectations are clear. That is, do each of your salespeople know what you want them to do (behaviors) and what you want them to achieve (results)? If you are looking for help in this area, please see these suggested guidelines for communicating expectations. Another dynamic is tracking and providing feedback on performance gains and gaps on a consistent basis. All too often, managers forget to point out what their salespeople are doing right (performance gains) and wait way too long before they discuss performance below expectations (performance gap). In fact, some managers neglect pointing out performance gaps until they are “forced” to conduct annual reviews and, as a result, tolerate subpar performance far longer than they should. Ideally, managers should be analyzing performance on an ongoing basis and consistently providing formal and informal feedback. Similarly, sales managers should be proactive in addressing performance gaps and not assume performance will improve on its own. It is very rare that managers claim they should have waited longer to address a performance issue. The first step in addressing a performance gap is one of introspection by the manager, which includes ensuring expectations are clear and determining whether there are outside forces beyond the sales rep’s control impacting performance. As a benchmark, the manager can look to whether the performance gap is prevalent across the team or isolated to the individual salesperson. If multiple salespeople are having the same issue, it is probably worth a closer examination of the expectations that were set (for example, were they clearly communicated and reasonable?). Assuming the performance gap rests with the salesperson, the manager should engage in an open, supportive discussion to determine the underlying causes. As a starting point, they should share what they have observed and over what period of time. They should provide an opportunity for the sales rep to respond to ensure there is agreement on the performance gap. In the event of disagreement, the manager should clearly restate the expectations (verbally and in writing) and set up a meeting to review the sales rep’s progress. Assuming there is agreement on the performance gap, the manager (with the salesperson’s input) must determine whether the gap is due to a lack of motivation or to a deficiency in skills and knowledge. This is essential, as the management action required will depend on these factors. Unfortunately, when it comes to taking action, managers often feel their options are limited to living with the status quo, putting the salesperson on a performance plan, or terminating the salesperson. In reality, they have a much broader set of options, including empowering, training, coaching, counseling, and discipline. Most importantly, keep in mind that you are actually helping support the sales rep’s development when you are proactive in addressing performance gains and gaps. Editor’s Note: This post was originally published on the Sales Readiness Blog.